One of Mahatma Gandhi’s earliest writings was a paraphrase of Plato’s ‘Apology’ in Gujarati, signaling a Socratic view of life – and death. He also worked his way through Advaita Vedanta and stoicism in a manner that would be today called philosophy as a way of life, or philosophy as a matter of lived life rather than textual exegesis. How would you respond to that? Mohan: This is such an interesting question! As you said, Gandhi was an unusual practitioner of “the text” who “paraphrased” by taking great freedoms with his translations of others. Yet, commitment to the idea of system is present in his textual praxis. This system in Gandhi is different from philosophical systems. Of course, the idea of the system and the powers of systems change from time to time in philosophy, just as it does in the sciences. The system in philosophy is neither text – which is itself a system limited to the circulation of “meaning” – nor a way of life, which is a reciprocal development of the directives to live and a life lived according to the directives. The model of ‘philosophy as a way of life’ comes to us through the scholar Pierre Hadot, and is really a small part of the ‘Christian tradition’. If one were to take such a point of view it would limit ‘the texts’ we can call philosophical to just a few. Also, we don’t ever say that ‘biology is a way of life’ or ‘the standard model is a way of life’. Of course, we know that it will then be a dangerous directive! In fact, the directive ‘philosophy as a way of life’ has the same dangers, if not more. Philosophy doesn’t give directives. But Gandhi did. Dwivedi: You mentioned Socrates. His praxis of philosophizing in the marketplace became an inspiration for Gandhi only through the text of Plato’s Apology. More interestingly, Plato presented Socrates’s ‘way of life’ not as a practice of a doctrine but as a life dedicated to examining all doctrines that dictate a way of life. In this sense, the Socratic ‘way of life’ was living the ‘way of philosophy’ where philosophy would be the disruption of every given ‘way of life’ to be understood as unexamined life. Gandhi’s writings are not fictions or poetic texts, and neither are they revelatory sayings accreted and curated over several centuries as the Bible was. We took very seriously Gandhi’s insistence that “God is law”, that “The ignorance of Nature’s Law will be accepted as no excuse when men and women of India appear before the Throne of Judgment”, or that “Darwin shows further that moral strength is even superior to physical strength”. These statements and invocations of scientists gesture unmistakably towards a system. When it comes to Gandhi and philosophy, we can consider how Gandhi looked at philosophy, and how philosophy – some or the other conception of it – would look at Gandhi. What prompted your choice to follow the second option? Mohan: The easy answer is that we are philosophers! But we should go further. From where do we look at philosophy which is the discipline concerned with everything and nothing, and their relations? It implies that one has a kind of external position to it, which is how philosophers have always looked at philosophy, from the new position they created so that all that was thought until this new position comes to be “a past”. We found that Gandhi didn’t look at philosophy the way philosophers and non-philosophers did. He was, perhaps, not that interested, because he had committed to a new kind of system of his own making. This non-philosophical system, which we call hypophysics, is necessarily interesting for philosophy. Gandhi constructed a new singularity in politics, which we call critical nation, where all the traditional theoretical means of understanding politics breaks down. And he wanted to accomplish this singularity, or what we call criticality, in order to bring about a “critical nation”, which must go through the death of politics. Dwivedi: The phrase “to look at Gandhi” is not simple either. He has after all been seen as a saint, a cunning politician, a sexual molester, a lawyer, a performer. But when it comes to philosophy looking at Gandhi, nothing is simple because philosophy looks at itself in each case differently depending upon the conception of her system that a philosopher develops. The vision that each philosopher opens also includes a new appraisal of objects (that is, thinkers, seers, saints) who are not philosophical but are either thoroughly criticized or else incorporated as vital elements in the system that the philosopher is developing. There are numerous examples of this. Plato criticized the Athenian religion and myths. Herder gave a central place to Shakespeare in philosophizing on time. The storyworlds of Jorge Luis Borges have helped many philosophers discuss space and logic. These examples do not have to be imitated. We had to let Gandhi’s own system come to the fore so that the reader can decide what to do with it. 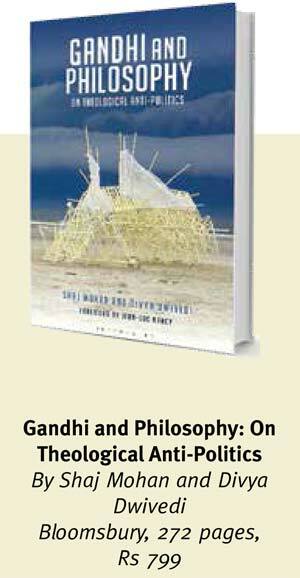 There is an apparent evolution over time in Gandhi’s values, worldviews, strategies. His early views on racism or caste, for example, are argued to have evolved into something else later. Interestingly, your work, on first reading, takes Gandhi’s life and texts as of one piece. Again, would you tell us more about this strategy? Mohan: If, as you say, “Gandhi’s life and texts as of one piece” is how the book delivers him then we got around to giving Gandhi a corpus out of the scattered essays, letters, telegrams, experiments, strip tease, and games of truth! But doing so in this global context where we have come to assume everything as contingent, as text, as mere correlations, and as signs awaiting interpretive gambles is against today’s common sense. That is, this allows us to treat Gandhi’s texts and the authority of his name as a matter which can be moulded to serve disparate needs. We can call it “paternal reason”. Instead, if I take a little liberty with this term “evolution”, it implies that there is a thing which conserves something essential – the ratio between what is possible and impossible for it – in the act of variant reproduction, which allows it to accommodate external challenges. In this sense Gandhi did accommodate the changes which were inessential from his point of view, including the emphasis he placed on varna instead of jati. Dwivedi: But the changes in his thought have not been analysed sufficiently. His position regarding the relation between God and Truth underwent significant changes. We know that he switched the predicative order from “God is Truth” to “Truth is God”. But he didn’t stop there, and instead conceived of a Truth which transcends God. Gandhi’s Maker made an ordered world because he was the first ‘satyagrahi’ who had maximum fidelity to Truth. This is a strange theology with extraordinary consequences when a political programme is derived from it. In that sense we were attending to the changes in Gandhi which were essential. But we were doing something more than that. We had to find ‘the principle of life’ which could generate and animate the “evolutions”. With Gandhi, internal inconsistencies are not only spread over time but sometimes even simultaneously. Consider Gandhi pointing out the limits nature has placed on speed or movement – a remark rich in encapsulating a full-scale criticism of modernity. Your work analyses this comment. What would you say to the fact that when writing this, in Hind Swaraj, Gandhi was traveling on a ship and transgressing the limits? Dwivedi: One can list other moments of what you call internal inconsistency – Gandhi underwent a medical surgery although he prevented his wife Kasturba from receiving the care that doctors had advised as it would be against their religion. In Hind Swaraj he took up this question more explicitly with regard to propagating his idea of swaraj with the use of the very press which he included among the evils of civilization and modern technology. But to call them inconsistencies would merely imply a lack of rigour in this thinking, or else a lapse, or being a hypocrite. Instead, as we find in the course of our book, there is here a deeper indication of how Gandhi thought and practised the relation between means and ends. These technologies, for Gandhi, were symptoms that could not be simply ignored but had to be actively resisted while one was immersed in them. Politics as such was itself something he opposed, but only by wrestling with it, not by taking sanyasa in the old- time tradition. Mohan: If Gandhi’s inconsistencies disturb us, it should not be because a strict consistency and iron discipline in one’s practice of a principle is desirable. It is more interesting and even important to consider that which the thinker or practitioner consistently adheres to. For Gandhi it was adherence to truth and nonviolence which he considered to be the primary state from which man and human civilization keeps deviating. Unlike Plato’s Republic or the theory of the purusharthas, Gandhi was not presenting the model for a state which had to be implemented. Rather he was identifying deviations from divine nature, which for him were sins and diseases that each man, each civilization, fell into in its own way. And this meant that his idea of the cure too had to be a singular quest for each person. But the cure was “to reduce oneself to zero”, not only for himself but for the whole of mankind. This is much more disturbing. If we consider human life, there may not be any other person in history whose daily life and thoughts are on record and in public domain to this extent. Apart from all his politics and spirituality, the hundred volumes of the collected work and memoirs by colleagues and other material presents a human life in textual form in an unparalleled way, beckoning scholars and commentators continuously. As philosophers, what would you say to that? Dwivedi: Textual form does not mandate a textualist approach the way literary criticism performs close reading or searches for subtexts and the unconscious of a text. 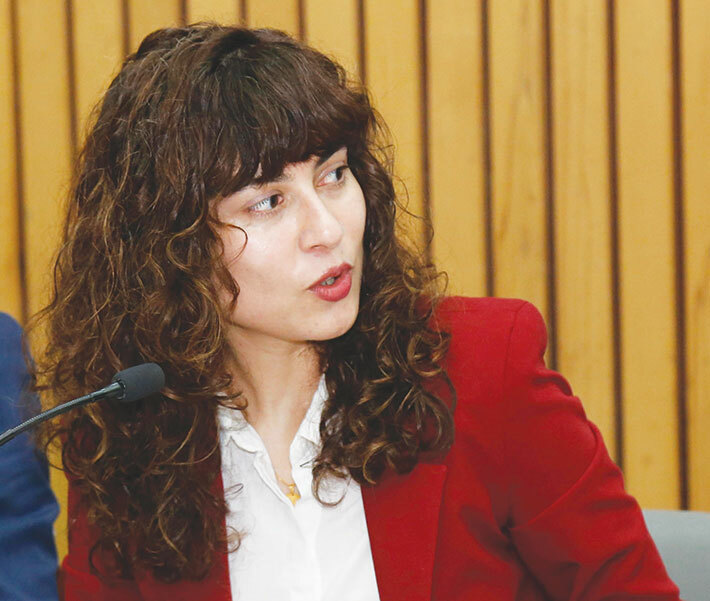 Gandhi wrote in many textual genres and the law of each genre is specific, and the fine philological attention of a scholar like Tridip Suhrud has expanded our understanding of Gandhi’s modes of communication with different audiences. 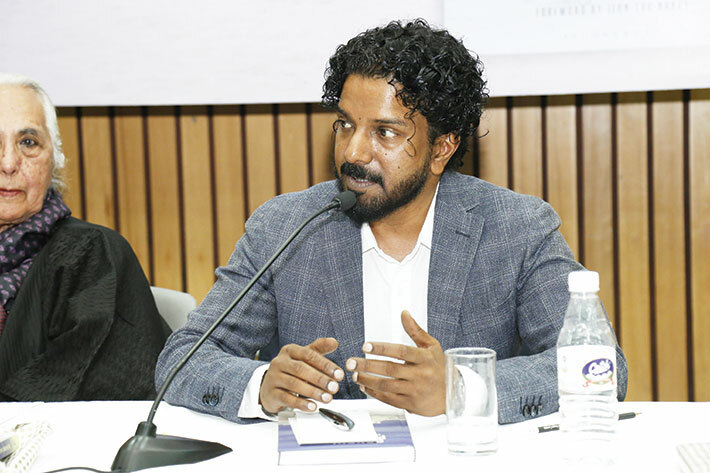 Historians like Shahid Amin have enriched our understanding of Gandhi’s impact in yet another way because their approach to causality identifies multiple different agents. For our part we attended to Gandhi’s system of concepts such that his own view of ‘a human life’ could emerge before our view. We drew out the limits of Gandhi’s system, which we found to be theological and anti-political. We were then able to obtain the philosophical standpoint beyond this limit from which to behold the limit, and this required creating our own definition of philosophy and proposing a necessary relation between philosophy and politics. Mohan: There have been other voluminous writers, who moreover came, in their own time or posthumously, to symbolize their epochs. The 18th century Enlightenment was also called ‘the Age of Voltaire’ thanks to his 200 volumes of writings as a historian, philosopher, writer and activist for religious tolerance and judicial fairness. With writings running into 143 volumes, the 19th century poet, novelist, botanist, geologist, diplomat and civil servant, Goethe, influenced politicians, philosophers and scientists right into the 20th century. Clearly it is not the volume of Gandhi’s writings alone, nor the minutiae of his sexual, dietary and communal experiments, whether recorded by him or others (including the Transfer of Power volumes), that give us the sense of the overwhelming importance of this man’s life. 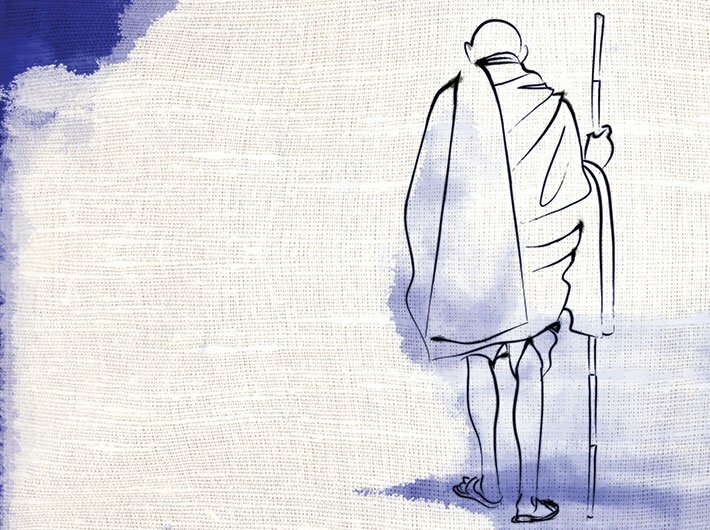 It is, as Jean-Luc Nancy says in his preface, the combination of “a radical spiritual exigency for asceticism and freedom from the world’s enslavements” that makes Gandhi “a unique character in modern times”. This combination continues to characterize a quest that belongs to our time from which Voltaire or Goethe, for example, are very distant. Moreover, this unity which we call “theological anti-politics” is Gandhi’s answer to the question he persisted with: “What is a human life” and even further, “What a human life should be”. And the answer that we uncovered in our research, this book, is rather shocking.